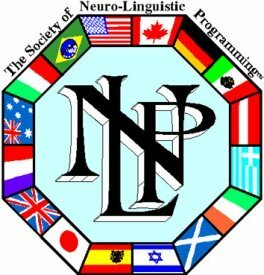 NLP techniques can amaze you. Imagine what it would be like to be just 10 per cent more effective than you are now when you meet others? Follow these techniques and you might surprise yourself still more. I wonder if you shrink at the thought of mixing and meeting with new people or whether you embrace every opportunity of doing so. Chances are if you are reading this you are not that keen or you are, at least, just a little cautious about the prospect. So many people are worried about what others will think of them. How many times, do you think, two people meet each other for the first time each being fearful that they won’t be liked by the other? Remember this first technique above all others. When you meet someone for business or pleasure, serve or respond to anyone, look her in the eye and smile. If you look down or avert your gaze you may appear shifty. I emphasise immediately that looking another in the eye is not considered to be courteous in all cultures. So if you are not in a traditionally western culture, do some research first to find out what is the appropriate etiquette and follow it. If you are a native of a country where that etiquette is wrong, you will know what is the right thing to do. The next important thing is to grip the other person’s hand and shake it firmly. Now, when I say “grip it firmly” I mean just that. I don’t mean a vice-like grip, just a firm one. Neither do I mean shake it until her hand nearly falls off. But don’t just hang it there waiting to be grasped by the other person (like a piece of wet fish, as my mother used to say). If you feel unsure about any of these things, practice them with family and friends until you are confident. The more you practice, the more it will become natural and part of your normal behaviour. When people are asked if they are good at remembering names, few raise their hands. The reasons for that are (i) we don’t always listen attentively at the introduction and/or (b) we do not encode the name. So, first of all, listen to the introduction. Then as she says her name make a vivid mental image to link her to something or someone you already know. The more ridiculous the image the better. If she has the same name as a friend of yours, imagine perhaps that she has two heads and the second head is the same as your friend’s. The next time you look at her you are likely to recognise your friend and be reminded of her name. Alternatively, you can just make a vivid or ludicrous image. If her name is Summer, you might imagine a large sun on her shoulders with a bright warm glow at the edges. Or if his name is John you might imagine him sitting on the lavatory! You certainly won’t forget his name after that. That not only assists in encoding the name but is another factor which will endear you to her. You are immediately beginning to establish rapport. As the conversation progresses, make a point of repeating some of the things she says to you. Listen attentively and you will find out what interests her most. What does she talk about? Is it her family, friends, business, favourite sport? Make a point of repeating some of the details or raising them later in the conversation. She will know then that you are interested in what she has to say. This is known in NLP as pacing. The technical name does not matter so much, but once you have paced the other person for a while you can gently lead by nudging the conversation in the direction you want. Another good trick with pacing is to use three non-controversial facts which she will silently accept before introducing the fourth concept which you wish her to agree with. Because the first three statements are uncontroversial, it is less easy to disagree with the fourth and she is more likely to go along with it. If the going gets a bit tricky, take a tip from the two US Presidents, Bill Clinton and Barack Obama, give yourself some time and use the other person’s name. When either of them is faced with a tricky question in interview, watch what they do. They will pause and then introduce their answer with the interviewer’s name. That technique disarms the questioner and the questioning is often softer after that. Pay attention. Don’t check your mobile phone for messages and emails during the conversation. You can tweet at any other time. It will be obvious if your attention is somewhere else and you will quickly fall out of favour. Subject to what I said earlier about cultural etiquette, maintain eye contact whenever possible. You will know how important that is from your own experience. I expect you have been served in a shop by an assistant who, throughout the time he is serving you, does not appear to be paying much attention and is not looking you in the eye. Compare that with going to a coffee shop where the barista gives a welcoming smile, maintains eye contact when he engages you in pleasant conversation and then thanks you for your custom. To which business are you likely to return? Think of the shops you use regularly and those you no longer use and recall why you prefer some to others. A magic but simple technique to up your influence and endear you to another is to make bodily contact by touching once lightly on the forearm. It need only be once during the conversation and it is so simple. Research has shown that the other will feel more pre-disposed towards you and people in the sales environment have made greater numbers of sales. It is important now that you practice these techniques over and over again with people you know. Keep practising them until they become part of everything you do and you no longer have to think about them. They will not necessarily work on everyone all the time, but you will have learned enough to be a far warmer and better communicator and I suspect you will have improved your skills by far more than ten per cent.